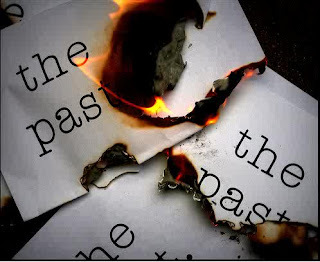 Note that those who choose to simply forget the past miss out on its amazing potential. There are valuable lessons to be learned from it. And those who choose to ask the right questions about their past are most prepared to live life to the fullest in the present. By simply asking our past, questions, we are unlocking those doors we might have missed while we are brushing through our pasts. By consciously going through the "files" in our past, we will simply be recalling what made us tick, what set us down the path we are now. Rick Warren wrote "we are products of our past..." So I ask, won't it be lovely to look at our past, to find out where we're made up of? Do you agree with me that knowing the various parts of a device will help to proffer solution when the need arises? " Do not forget the ancient Landmark"
Whatever we left in the past unaddressed are what are limiting our potential for impacts and significance. Sometimes, taking a second look at our past helps us to make peace with where we are coming from and helps us to carry same peace into the future. At times all we just need to do is to forgive our past. Before we pack up the past, box and seal it, take one critical look at the trail we left. Don't let us just discard the past and move on. There is still something amazing in our past. Someone said recently "Forget who hurts you yesterday, but don't forget who loves you yesterday"
There is future in our past. Appraising my past opened my eyes to unhealthy patterns & habits.